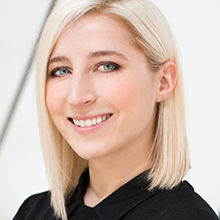 Jenna is the founding editor of technology coverage for Marie Claire magazine, where she now oversees the content for both the print and digital platforms. At the nexus of fashion, beauty and technology, Jenna is a thought leader in how these industries come together. One of her many achievements includes being one of the first in the fashion industry to bring tech to the pages of the publication and to connect the dots between these worlds.